This net made of nylon (PA) is produced for professional fishermen and fishfarmers. Material is stronger than used for hobby fishing.Due to the special construction the frame is relatively light but very rigid. The brailer net bag is to be mounted to the inner frame. The outer frame prevents the mounting twine from being chafed off. 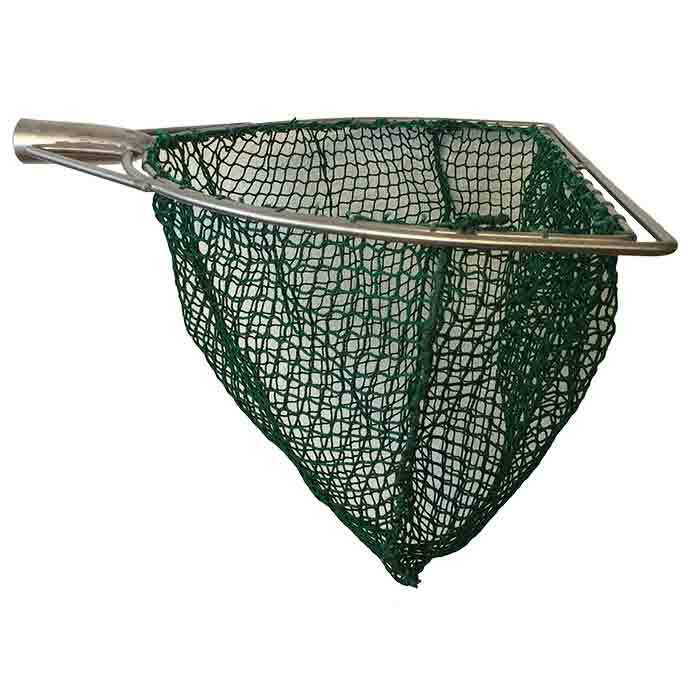 When brailer nets are used in the fish processing industry the hygiene authorities might require the use of stainless steel frames.